If you need Toyota service and repair, you are in the right place! At Mike’s Auto Service, we know just how to keep your Toyota Camry or Corolla in tip-top shape. With over 30 years of experience, our ASE certified mechanics have the knowledge and training to provide comprehensive auto care for Toyota cars and trucks. We offer a wide range of automotive services for all model Toyotas, including factory scheduled maintenance, minor repairs, major repairs, tow truck service, and much more. As a NAPA® authorized auto care center, you can trust that your Toyota is in the hands of qualified professionals that take auto service seriously. We treat your vehicle as if it were our own, making it a top priority in our shop. Using all NAPA® and OEM auto parts, we provide quality service you can rely on. As a family owned and operated business, we remain committed to providing high-class service at an affordable price. You don’t have to pay expensive dealership fees for Toyota repair services any longer! We render superior results at a fraction of the cost! Whether you need a simply inspection, or major engine work, we are the certified technicians that will get the job done right the first time, every time. 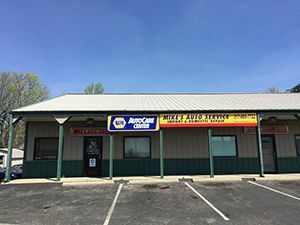 Trust us with your Toyota service and repair needs in Greenwood, IN. Call 317-889-7722 to schedule an appointment, today.